New Beginning - Nekaro & Co. I have decided that I have no idea what direction I want this blog to go in. September was crazy. I feel like a went through it with my eyes closed because it all happened so quickly that it is now over and I'm not sure what went on. It's no secret to those that actually know me that I am spiritual, but have no religion. I believe aspects of many religions, but can't wrap my mind around others so I'm just me. Recently, a friend of mine tagged me in a photo on Instagram that was a challenge for the month of October. A tarot challenge. Now I know many of you think this is witchcraft or devil related, and that's fine, but it's not, in my opinion. I've found them to be seriously accurate in their meaning in the past. 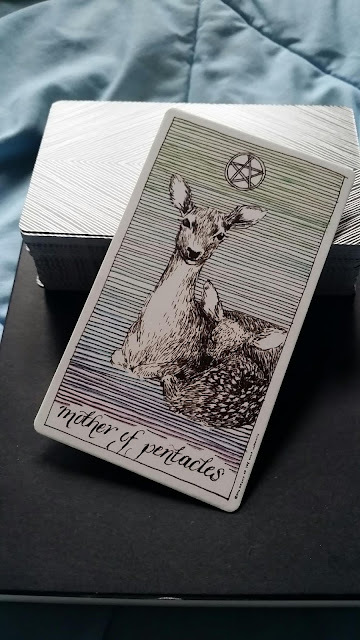 I've had a couple of sets of tarot cards for a few years, but only occasionally pull them out. I thought I'd give this little diddy of prompts a try so I can learn and be more open to possibilities.